Organic foods may finally get a seat at the kids’ table. Seven out of 10 Americans said they prefer organic alternatives. It’s probably no surprise that many parents say they want to give their babies the benefits of an organic product when it comes to feeding them baby formula. However, the problem has been that until recently, there hasn’t been an organic formula available that provides babies with two key nutrients for mental and visual development: the lipids DHA and ARA. “These lipids are naturally supplied from mom to baby in breast milk, but in reality, not all moms can breast feed. If parents formula feed, and choose an organic infant formula, it’s essential that they use an organic formula enriched with DHA and ARA,” explains Dr. Barbara Levine, director of the Nutrition Information Center and associate professor of nutrition in clinical medicine at Weill College of Medicine of Cornell University. The only nationally distributed organic baby formula with DHA and ARA is available at Wal-Mart and is called Parent’s Choice Organic Infant Formula, made by PBM Nutritionals. In addition to having the essential lipids, the formula is enriched with the same nutrients as other baby formulas and meets the strict infant formula guidelines set by the U.S. Food and Drug Administration. The formula helps parents looking for organic alternatives in a second way as well: It can save them some green. 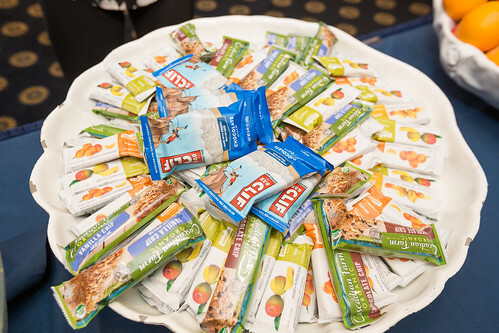 PBM got around the problem of high-priced organic foods by distributing its product nationally through Wal-Mart stores. Doing so allowed the manufacturer to reach many parents who did not have access to organic formulas-and to keep prices relatively low.